The government's White Paper on Public Health aims to tackle smoking, obesity, drinking and sexual and mental health. By the end of 2008, all enclosed public places and workplaces will be smoke free. All restaurants and pubs and bars preparing and serving food will also be smoke free. However, other pubs and bars will be free to choose whether to allow smoking. There will be tighter restrictions on advertising of tobacco and the government will consult on how to use picture warnings on tobacco products most effectively. More emphasis will also be placed on helping smokers to quit, including phone, email and text support schemes. By mid 2005, processed foods will be clearly labelled to indicate fat, sugar and salt content for shoppers. Ofcom will also look at how foods are advertised to children with a view to voluntary restrictions on "junk food" adverts. Legislation would be considered in 2007 if those measures fell short of what the government wants. 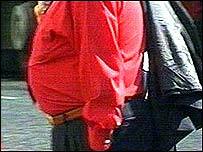 An independent task force will look at the best ways to prevent and treat obesity. A big emphasis is being placed on schools, which will be tasked with providing healthier meals, free fruit and sport both within and outside of school hours. Children will be encouraged to cycle to school and adults to get active at work. More than £1bn will be invested in PE and school sport while more sports specialist academies will be developed and the protection for school playing fields will be strengthened. There will be a new national campaign targeted on those at greatest risk of catching a sexually transmitted infection or having an unplanned pregnancy. By 2008, everyone referred to a Genito Urinary Medicine clinic should have an appointment within 48 hours. Chlamydia screening will be rolled out across England by 2007. Ofcom will strengthen rules of broadcast advertising of alcohol, particularly adverts aimed at underage drinkers. Alcohol manufacturers will be urged to include warnings to encourage sensible drinking on products and in advertising. There will be investment in NHS services to tackle alcohol problems at an early stage. The government will work with the Portman Group to cut down binge drinking. Tackle inequalities experienced by people from Black and minority ethnic communities in their access to mental health care services. By 2005, ensure measures are put in place, under the Sure Start programme, to start children and young people on the right path in life to protect against later mental health problems. In 2005, publish guidelines on the management of mild to moderate mental ill health in the workplace. A new service called Health Direct to provide clear information on health choices by telephone, online, and digital television information services. NHS trainers to provide advice to individuals on how to improve their lifestyle. Everyone to be given the opportunity to develop a personalised health guide. By 2010 every primary care trust to be resourced to have at least one full time school nurse working with each cluster of primary and secondary schools in their area. Employers will be encouraged to find ways of helping people who have been off-sick back to work, even if it means temporarily altering their jobs.